India’s expertise in maintaining Russian aircraft and its vaunted pilot training skills are helping New Delhi win friends and influence nations in Asia. The induction of advanced Flanker aircraft in Asian air forces is proving to be an unexpected windfall for India. As a maintenance hub for Sukhoi-27/30 Flanker series aircraft and by training foreign fighter pilots, the country earns a substantial amount of money. But more importantly, it strengthens New Delhi’s ties with the region. In October 2013, India agreed to train and support the Indonesian Air Force in operating its fleet of Sukhoi fighters. The Indonesians currently operate both Su-27 and Su-30 jets, with the latest batch of Flankers arriving last month. According to the agreement, which was arrived at during the Indian defence minister’s trip to Jakarta, India and Indonesia will cooperate in the areas of training, technical help and spares support. In the past Jakarta had a pact with China to train its pilots and provide technical support for its Flanker fleet. But Jakarta has now veered round to the view that the Indian Air Force (IAF) is an ideal mentor. For, the IAF has earned a worldwide reputation as a dogfight duke after beating the powerful US Air Force in a series of Cope India air exercises. Plus, in three wars – in 1965, 1971 and 1999 – it has routed the Pakistan Air Force, which is no chump. Given that India will have one of the largest Flanker fleets in the world once all the planned 272 Sukhoi jets enter service, Indonesia’s decision to change fighter gurus is understandable. Indonesian officials will hold talks with a high-level IAF team to finalise details of the training and spares support package. Besides Flanker servicing and training of pilots, India and Indonesia will significantly enhance their defence cooperation. “The two sides exchanged views on issues relating to regional and global security, bilateral exercises involving services, training, co-production of defence equipment and ammunition and visits at high levels,” said an Indian Defence Ministry spokesman. India also plays a role in helping the Royal Malaysian Air Force (RMAF) to maintain its fleet. 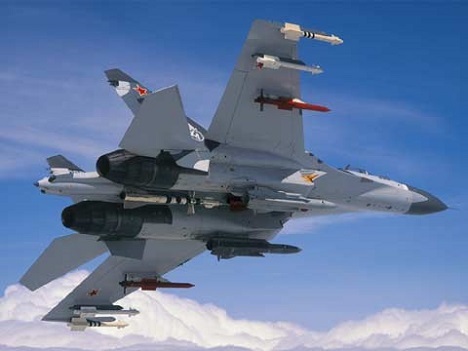 While Sukhoi is the main contractor for supplying Su-30s MKMs, the aircraft’s canards, stabilisers and fins are manufactured by India’s Hindustan Aeronautics Limited at Nasik under a $25-30 million value subcontract. In 2008 India accepted Malaysia’s request to train the Royal Malaysian Air Force (RMAF) personnel on the operation and maintenance of its Su-30 MKM fighters. “The initial training for the RMAF personnel was conducted in India by HAL and IAF,” says the website of the Indian diplomatic mission in Kuala Lumpur. “Subsequently, a composite team of flying and technical training instructors was deployed at Gong Kedah Base as part of Indian Air Force Training Team (IAFTT) for two and a half years to impart the training. The training successfully concluded in Sep 2010. The IAFTT team personnel were felicitated in a special ceremony prior to their departure by General Dato Sri Rodzali bin Daud, Chief of the RMAF. Flanker cooperation has had another spinoff. India’s success in mating the BrahMos cruise missile with its Sukhois has Vietnam showing interest in buying the missile. If the deal goes through, it would mark the first overseas sale of the much talked about missile jointly developed by India and Russia. A senior Vietnamese delegation that visited New Delhi this month requested India to provide submarine training and conversion training for Vietnamese pilots to fly Sukhoi-30 aircraft. Indonesia and Malaysia are both Muslims nations and despite their historic Indic roots, their current religious affiliation makes them lean towards other Muslim nations. Why is this a concern? Well, in the 1965 India Pakistan War, Indonesia dispatched naval warships to Pakistan to fight against India. Prior to that, when the Communist Party of Indonesia came to power, it sided with communist China. Indonesian leaders soon started voicing claims to the Andaman & Nicobar Islands, and demanded that the Indian Ocean be renamed the “Indonesian Ocean”. Although Indian military power today is of an order of magnitude higher compared with the 1950s and 60s, and the Indonesians are unlikely to repeat their reckless gunboat diplomacy, the fact is India wouldn’t want Jakarta and Kuala Lumpur to support Pakistan in any way. Flanker diplomacy is thus an excellent way to boost defence ties with these two countries. Indonesian and Malaysian military officers working in sync with the IAF will most likely be in India’s corner in an India-Pakistan or India-China conflict.